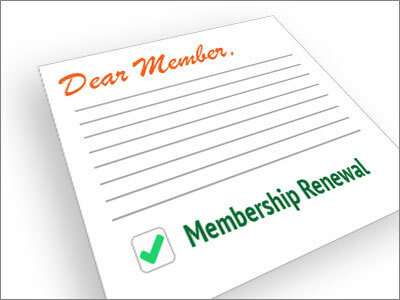 Have you reviewed and updated your renewal letter or email for your upcoming membership renewal campaign? For many organizations, the membership renewal letter or email is the key tool in your renewal toolbox. After all, if retaining members and keeping them active and engaged is critical to your organization’s success, it might just be the most important communications piece you’ll send this year! We’ve developed two new resources with ideas and tips to help you develop a truly effective membership renewal letter or email this year. Before you merge your membership renewal letter doc or hit the send button on your renewal email, you might want to take time to go through the Membership Renewal Letter Checklist. It offers a quick list that prompts you to ensure your renewal letter or email is as effective as possible, including: renewal pre-planning, tone, content and action prompts, and more. What are your organization’s key membership renewal challenges? Let us know in the comments below.